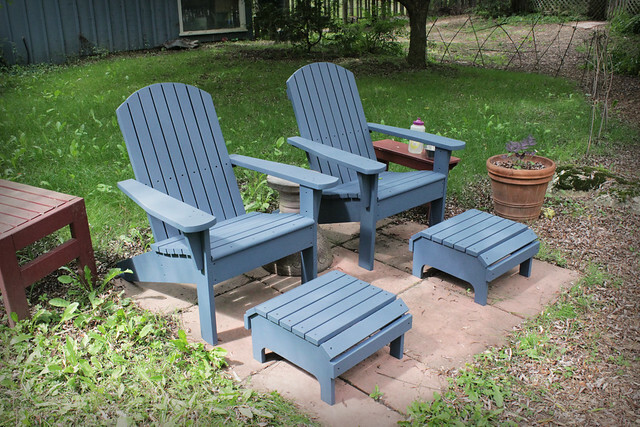 This is the last of the painted outdoor furniture projects for the time being. A third footstool has not aged well, and will need to be replaced (new project!) but the two that match these two chairs were fine, so the set is complete. Again, they were (and still are, under the opaque stain) made of lovely Western Red Cedar, but the years outside take their toll, and they needed a refresh. 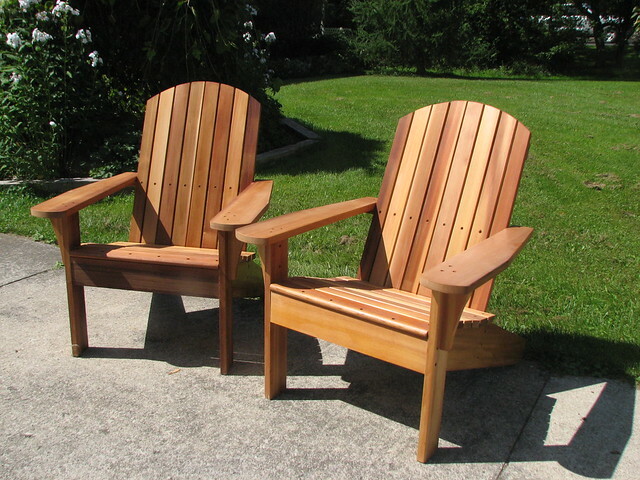 Finishing outdoor projects is a lively topic of discussion in woodworking circles, with preferences ranging from a bulletproof Epifanes or Marine Spar Varnish finish, to an annual clean, sand, and oil regime, to nothing at all (naturally weathered gray, eventually). The latter has some appeal, until you factor in that you’d probably want to wash and sand them every year or two anyway, so not much extra work to reapply a finish at that point. Here’s how they looked in their original glory, having been outside for all of five minutes at this point.